Night vision - What's out there? With Raymarine aboard, FLIR aims to put battlefield-quality thermal-imaging cameras on more boats. FLIR Systems&apos; 2010 acquisition of Raymarine is the kind of combination that could broaden consumers&apos; marine electronics vocabulary. "Slew to cue" is a military term that is often lethal news if you happen to be the "cue." The cue is a target. Slewing is what makes guns or missiles aim at that target. One way to identify a target is by its heat signature and FLIR is a major supplier of night-vision cameras to the U.S. military that do just that. Now FLIR has combined with one of the leading marine electronics manufacturers to re-engineer the elements of battlefield lethality into products it believes will make boating simpler, safer and more secure - and possibly save lives. Most advances in electronic navigation are incremental improvements on existing technology, but every once in a while something happens to change the game. FLIR wanted Raymarine as a vehicle to develop thermal imaging to its full potential. 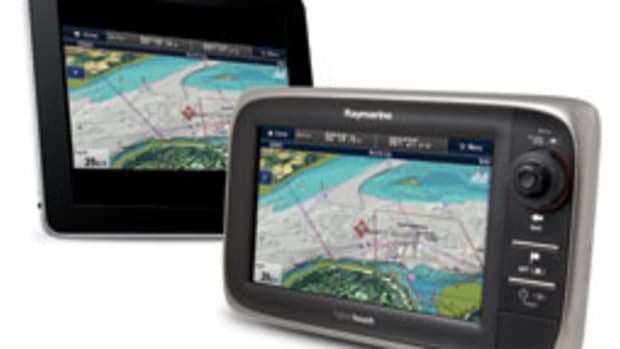 Garmin last year also was trying to acquire Raymarine in a play to gobble up its biggest competitor in marine electronics. FLIR had a different strategy for its future and it managed to outmaneuver Garmin at the last minute. Andrew C. Teich has been president of FLIR&apos;s commercial division since 2006 and he was the point man for the Raymarine acquisition last May. In an interview with Soundings, Teich outlined FLIR&apos;s broad goals for Raymarine, which include putting an infrared camera in as many as half of the boats on the water. 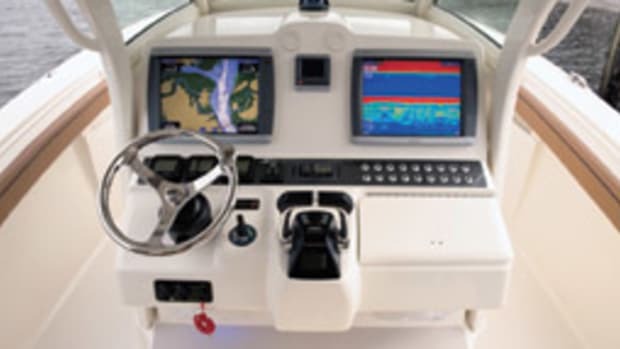 As a rule, electronics manufacturers say, nearly all boaters have some form of GPS on board. About 80 percent have some type of depth sounder and about 30 percent have radar. Teich says FLIR is going to try to "get in between" GPS and radar with its thermal-imaging cameras, aiming to persuade 40 to 60 percent of boat owners to equip their vessels with FLIR models that will be introduced during the next few years. For that to happen, Teich says, the price of thermal-imaging cameras will have to come down. The least expensive FLIR camera is a hand-held model that costs slightly less than $3,000. Many people consider $1,000 to be the benchmark for mass affordability. 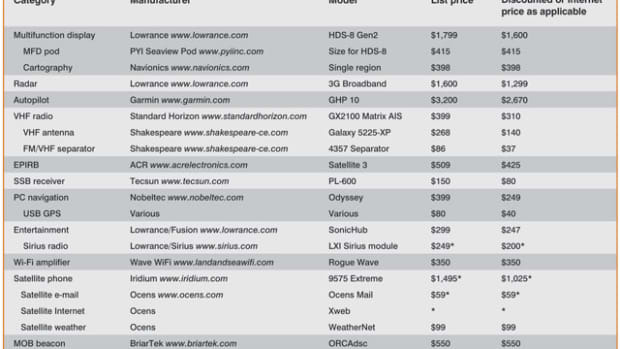 Teich believes that in a few years the price of FLIR&apos;s night-vision gear will be in the range of today&apos;s radar systems - that is, more than $1,000 but well below $3,000. He says FLIR intends to use its manufacturing expertise to drive down costs, passing along enough of the savings to produce a "tipping point" in the consumer market. Shortly after Teich was interviewed, FLIR unveiled a new hand-held series, the FLIR i5 and i7, which retail for $1,595 and $1,995 respectively. GPS and depth sounders address two of three essential questions for safe navigation: Where am I, and how deep is the water? "Thermal imaging answers the question: What&apos;s out there? And the only other type of knowledge that does that today is radar, but radar has problems," Teich says. "It&apos;s difficult to interpret. Many times you see something on the radar and you don&apos;t know what it is. Is it moving or not moving? Is it another vessel?" Teich concedes that AIS vessel tracking has made radar easier to interpret, but he says nothing is better than being able to see your surroundings at night. 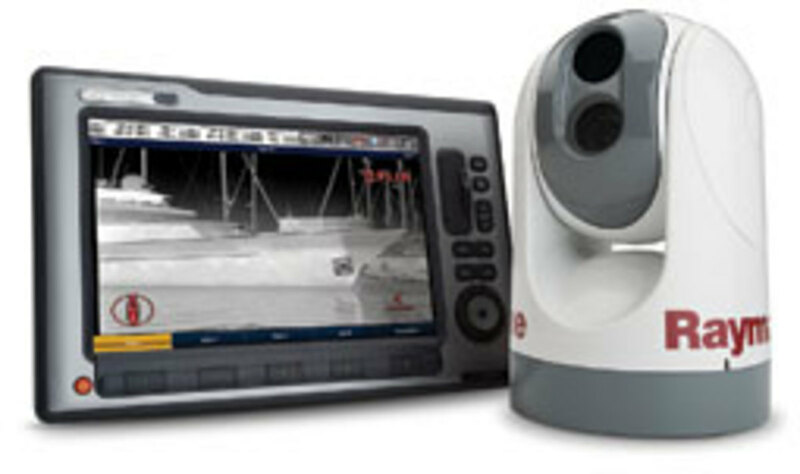 Thermal imaging allows you to see distant objects, as well as what lies right beside the boat. "We tell people that if you can watch TV, you can use a FLIR," Teich says. "That really resonates with people." Having a marine electronics company with a full suite of products, he says, will allow FLIR to integrate thermal imaging with Raymarine&apos;s multifunction displays. This is where "slew to cue" comes in - or, as they say in the military, STC. "What that means is that when you see a target on the radar, you can have the camera automatically - or you can tell the camera - to slew to that target, so you are getting essentially two sets of eyes on the target," Teich says. "Very commonly, you&apos;re operating in a split-screen mode," he says. "You might be GPS-radar or fishfinder. You could clearly be operating in a mode where you are GPS-thermal or radar-thermal. ... You can use those [multifunction display] buttons to interact with the thermal camera - to point it, to zoom it, to change its contrast, to change its color patterns, all of those things." Furuno already has started down this road - ironically, using FLIR equipment. Working with FLIR before it acquired Raymarine, Furuno configured MaxSea Time Zero Explorer navigational software so it can display video from a FLIR M-Series camera on a Furuno chart plotter screen. The program is notable for its target- and object-tracking feature, along the lines of what FLIR is planning for Raymarine MFDs. Teich says FLIR will market its night-vision equipment under both the Raymarine and FLIR names because boaters with Furuno, Garmin or Navico electronics may prefer to mount cameras bearing the "brand-neutral" FLIR name. With a 360-degree view, FLIR&apos;s fixed-mount models can also perform as security cameras while boats are dockside or at anchor. Security applications are actually a bigger part of FLIR&apos;s business than maritime sales because the company has been in the security sector longer. Teich says every fixed-mount FLIR camera contains networking software called Nexus that enables the camera to function in full security mode. "Latent in every product is a very rich set of video analytics and security analytics, things such as tripwires and motion detectors," Teich says. 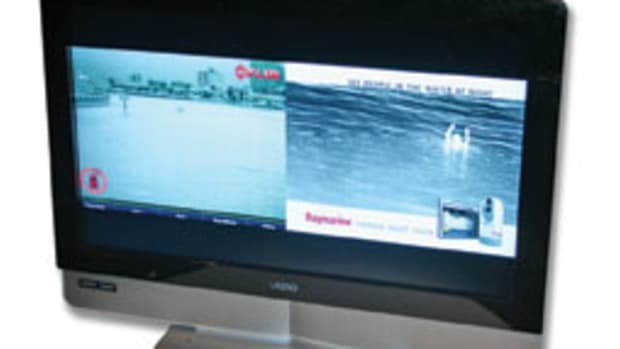 "That stuff is all resident inside the product, so we are able to enable in those products a dockside security mode where you have your thermal camera, say, pointing at the back of the boat. You draw a line around the perimeter of the back of the boat and, if anyone crosses that line, the camera is doing what you want it to - setting off an alarm, sending you an e-mail with a picture, what have you. It&apos;s all embedded. And, says Teich, becoming part of a marine electronics suite is a critical part of enabling that. "You will see people using it in a security mode in the coming year or two," he says. FLIR, based in Wilsonville, Ore., has some protection against the recession, thanks to its defense contracts in a time of war. Company executives are determined to parlay profits - up 15 percent since 2008 - into more commercial applications for its night vision technology. Teich says FLIR looks at marine GPS as a benchmark and he says about 100,000 GPS-based products are being sold annually to recreational boaters. "If you just pick a number in there and you look at 50 percent, that&apos;s a lot of thermal cameras being sold," he says. "That&apos;s hundreds of millions of dollars. That, in principle, is why we bought Raymarine." 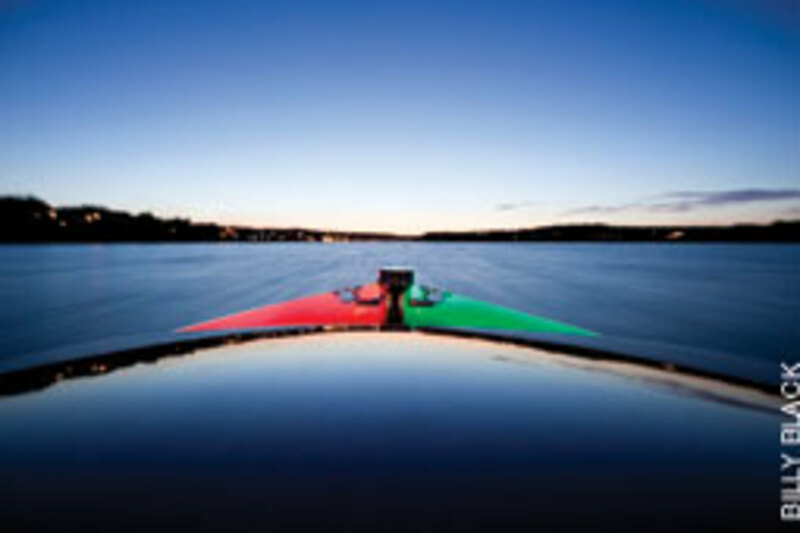 Setting aside the technological implications and looking at the Raymarine acquisition from a business standpoint, FLIR now has 1,000 dealers instead of 400, and 400 original equipment manufacturers instead of five, meaning 400 boatbuilders. And even without thermal imaging in the equation, Teich says, FLIR considered the $180 million purchase price for Raymarine a good deal. 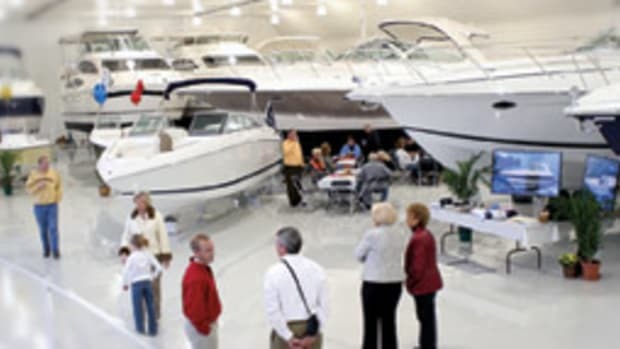 "[Raymarine] was on hard times because they had bad management, basically ... over $100 million in debt and they made a bunch of bad decisions," Teich says. "FLIR buys the company, we take the debt off the table immediately and put new management into the company and we think we can take a No. 1 brand and make it a much stronger brand in the market." 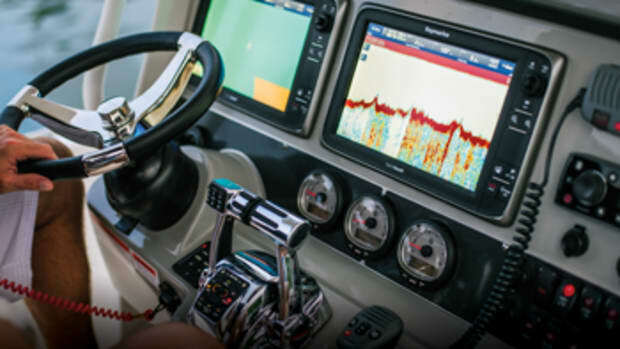 Teich says the conventional wisdom that Garmin had taken much of Raymarine&apos;s OEM business has been overstated - except in the small-boat market. "That&apos;s in [Garmin&apos;s] DNA," he says. "They&apos;re in car navigation systems and they are very good at that. And it&apos;s not in Raymarine&apos;s DNA today. It will be in the future - I can guarantee you." 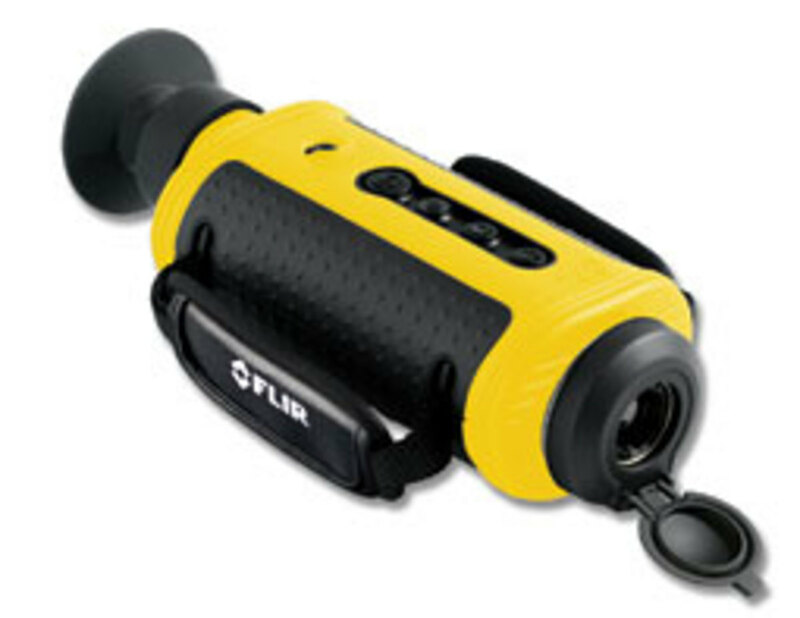 For information, contact FLIR Systems at (503) 498-3547 or visit www.flir.com. - Should rescue beacons be mandatory? This article originally appeared inthe February 2011 issue. 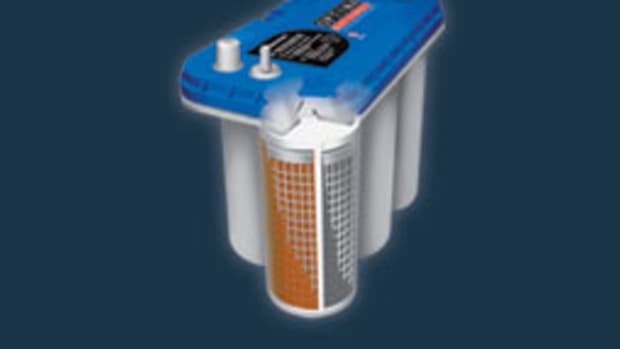 What's the best battery for you?